Top 10 things this photographer is thankful for today and everyday. 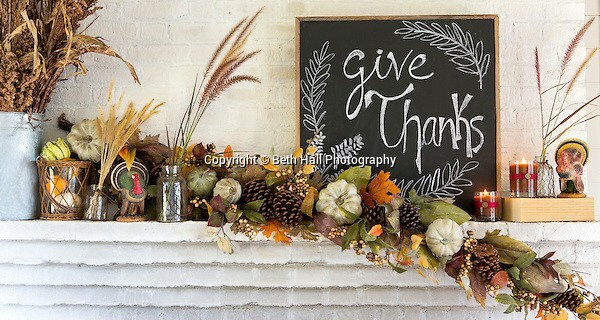 Happy Thanksgiving to all of my clients and friends. It has been such a wonderful year and I am so grateful for all of you. Today is a day to express gratitude, so here goes..
1.I’m thankful to everyone I have worked with that I can now call a friend: Art directors, stylists, assistants, make-up artists and clients. Not only do you make my work look better, but you make days on set full of fun and laughter. 2. Everyone who has opened their home, business and life and shared with me. I always feel like such a rich person because of my experiences and stories learned as a photographer. Thanks for opening up and and trusting me while I work. 3. A career that allows me time to pick my child up from school and coach his soccer games. It’s a juggle to make it work, but I am beyond grateful that I am not missing out on him growing up. 5. Amazing, amazing mentors along the way. I have been beyond blessed to have photographers in my life who have opened up, shared everything, and encouraged me. Nancy Nolan, Bob Coleman, Aaron Skinner, Lori McElroy… just to name a few. Thank you! 6. The sense of accomplishment when I take a good photo, and then see it in print. It’s like Christmas every month to collect the newest publications and flip through to see how images are used. 7. Everyone who has supported me along the way. It is so nice to run into old friends and family and find out that they have been following my work. It’s a wonderful feeling to know that people are looking and enjoying my images. 8. Coffee and chocolate. I don’t think I could hit all of my deadlines without either of these. 9. Those who believed in me and took a chance. So many times in my photography career I have heard the words, “I love your work, but you just don’t have the experience.” This is a big thank you to those who said, “You don’t have the experience, but I think you can do it.” My client list, experience and confidence grows because of those people, so thank you for believing in me. 10. The ridiculous amount of years of fun and laughter. There isn’t a day that I dread going to work, and everyday is full of wonderful experiences.